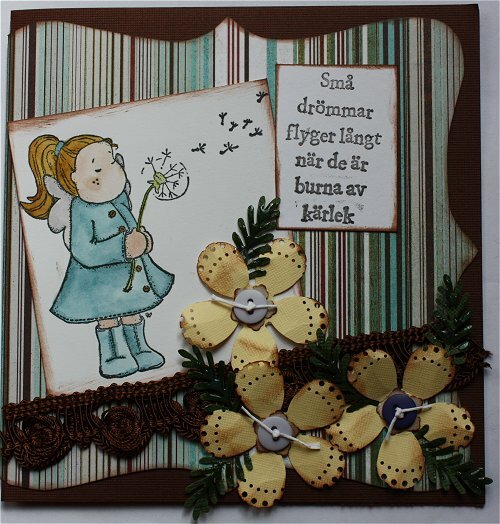 Millans scrapsida: Kort med punchies!!! Love the colors you used and your punches , thanks for joining our challenge at CMM. Very cute card with a sweet image. Thanks for entering the challenge at CMM.